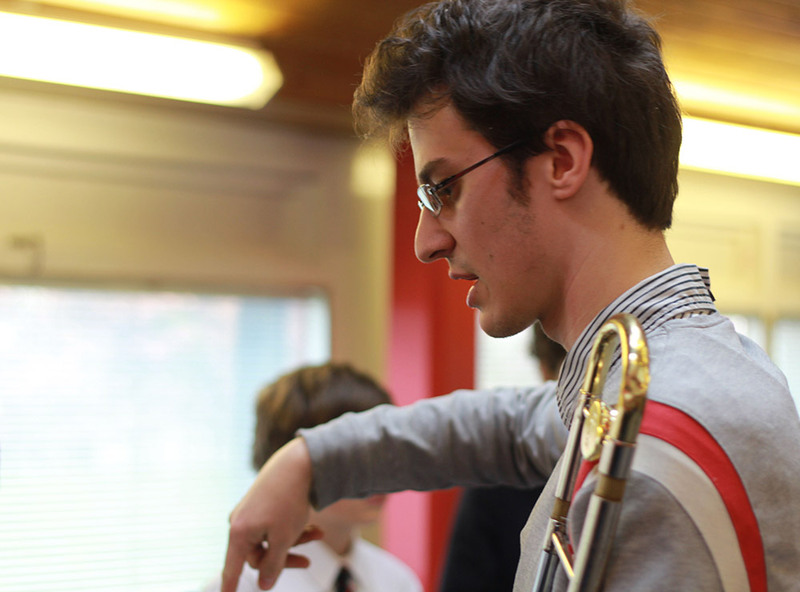 Raph has taught trombone and trumpet in and outside schools and colleges for many years, and this has included whole class, small group and individual work with students of many different ages, abilities and backgrounds. He has recently taught at the London College of Contemporary Media (LCCM) and City Lit University. He believes in a creative approach to teaching and learning, whereby the students’ musical (and other) interests are at the heart of the sessions, and technical development is approached from an exploratory and musical perspective. While specialising in improvised and groove-based music, Raph is comfortable working with many different styles, including classical, contemporary classical and early music. Raph has also tutored GCSE, A level and degree level music students, including work on theory, composition and essay writing. To get in touch with Raph to discuss lessons, please use the contact form link.